We’ve designed this class to help you find and name your own feeding goals, set yourself up with the information you need, and create that network of help that will back you up when you need it. Baby Café Is Preparing for World Breastfeeding Week 2017! Registration is Now Open for Birth & Babies July 2017! Baby Café Bakersfield has been awarded the prestigious IBCLC® Care Award for 2017-2019, denoting that they have demonstrated they have provided training for their staff that care for breastfeeding families, and have implemented special projects that promote, protect, and support breastfeeding and the lactation consultant profession. 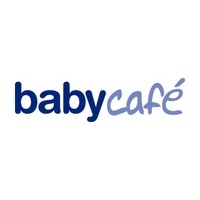 Baby Café Bakersfield is licensed through Baby Café USA, a 501(c)3 organization.